Brian Foo has visualized and intonated refugee data from the United Nations from 1975 to 2012. The quantity, length, and pitch of the song’s instruments are controlled by the volume of refugee movement and distance traveled between their countries of origin and asylum. His website Data Driven DJ reveals more of his pretty interesting work, check it out! It took 9 years, 700 million dollars and 4 billion kilometers for the orbiter New Horizons to make this beautiful picture of Pluto from a 9600 kilometer distance – totally worth it! Some stuff never gets old, for example videos from space – espacially when they come in a super high-definition format. 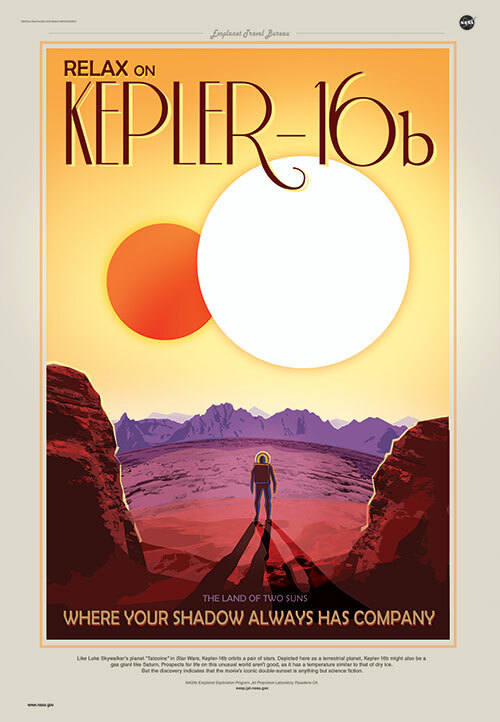 NASA (man they are good) has published some vintage poster in high-res for you to download showing gravity and exoplanets Kepler 16b/186f, sweet! 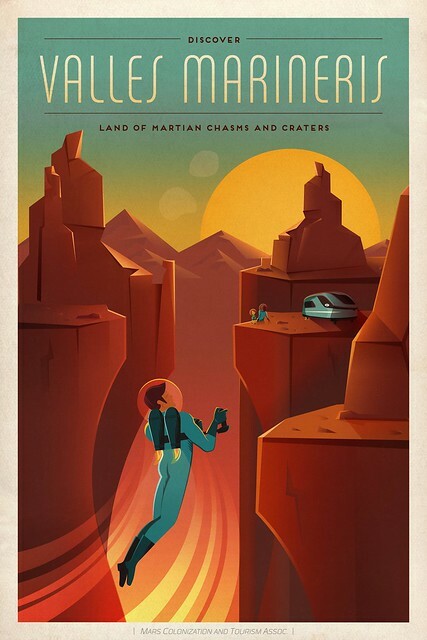 The private Space Exploration Technologies Corporation (SpaceX) also jumped on the bandwagon with 3 vintage travel poster to make you more interested in real estate on mars. 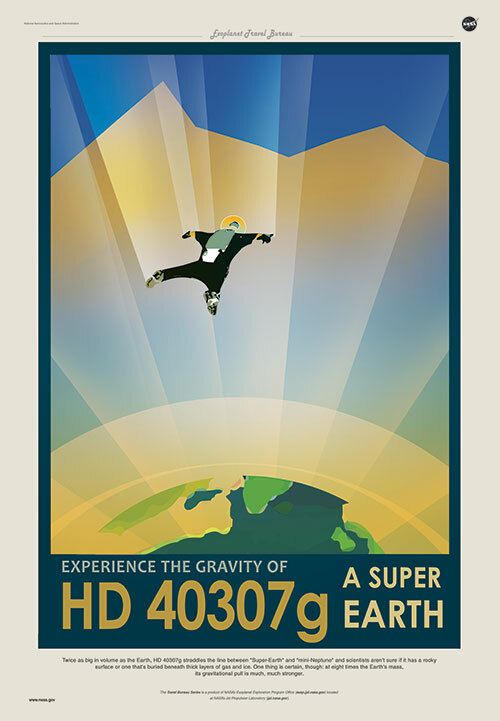 More (real) vintage poster available at National Geographic! 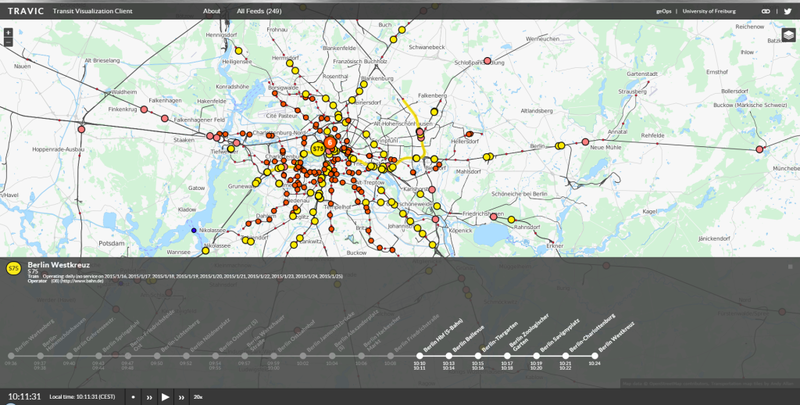 The University of Freiburg (Germany) has released a Transit Visualization Client (TRAVIC) that provides movement visualization of transit data published by transit agencies and operators from all over the world. The corresponding blog goes more into the detail about the realization, anyhow the movements are mostly based on static schedule data and wherever real-time data is available it is also included in the visualization. To get an overview of all of 200 feeds available, click here. The wellcome images award is about scientific “informative, striking and technically excellent images” mostly made via tomography or microscopy. 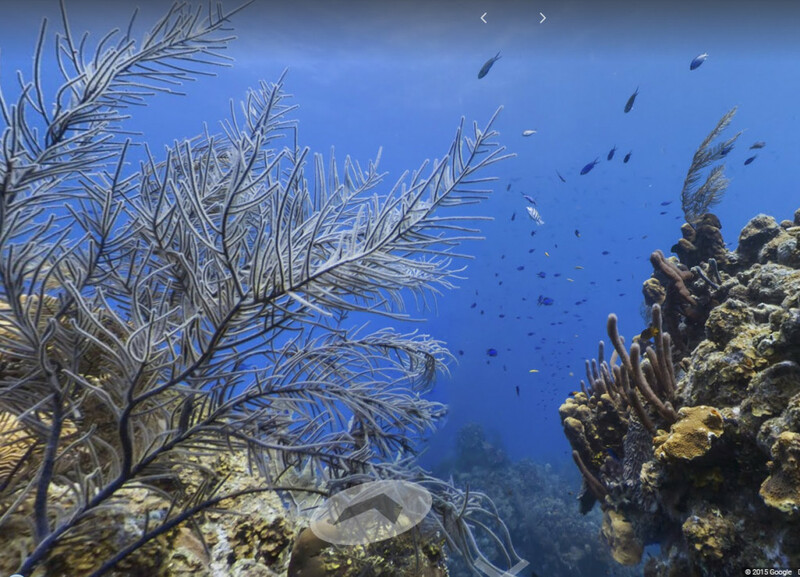 Browse through the high-resolution winner’s gallery and be flabbergasted.